Take the Monorail: Ahoy There, Mateys! The Pirate's Adventure Game Approaches on the Starboard Side! Ahoy There, Mateys! The Pirate's Adventure Game Approaches on the Starboard Side! Captain Jack Sparrow has been making acquaintances all over the Caribbean, and now YOU get to work with the famous pirate as he takes on treasure hunts all over Adventureland. The Enlistment Quarters, sign still covered and doors shut for the day. Only two adventures were running when we played, and our first was The Guardian’s Curse. One of our party then played through The King’s Ransom while the others carried on to other fun in the park. 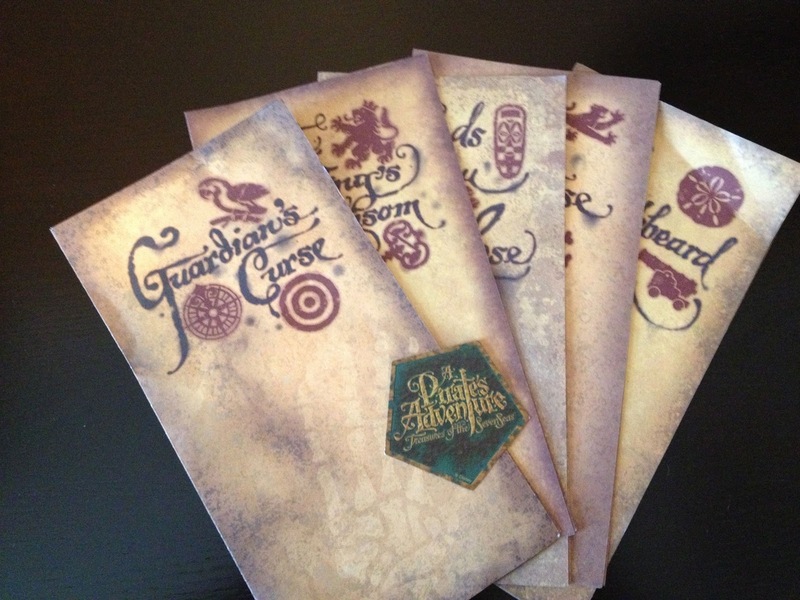 However, because we are the curious sort, we also checked out the maps for three other adventures: Heads You Lose, Haven Defense, and Blackbeard. Each adventure has a unique map to help you find hot spots that you will need to complete your particular adventure. Each adventure also has you seeking a different treasure for a different friend, enemy, or ally. 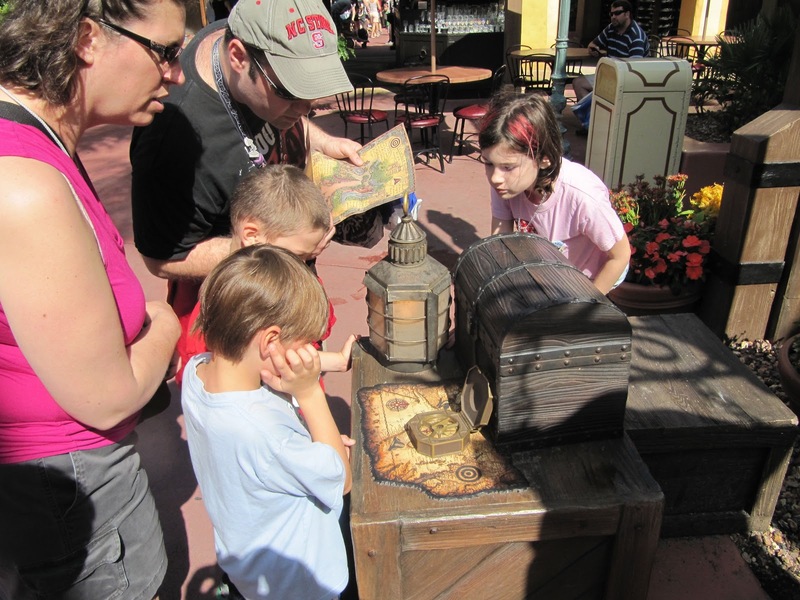 One of many game stations spread around Adventureland. The stations for the game are small but detailed and very cool with moving parts and engaging details. Instructions are simple and the whole family can play. As you follow the directions on the map and at the various stations, you trigger actions on items around you, usually by placing your Talisman over a specified mark on the station. The stations are limited to Adventureland, so you won't have to travel too far. 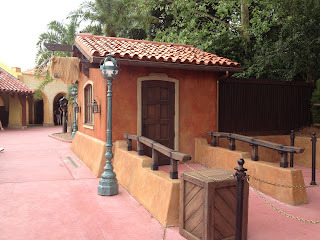 Each adventure really only takes about fifteen minutes, so in the time it takes you to move through a queue and ride an attraction, you can complete one or two adventures! and awaiting our next instructions. When we finished playing, we were asked how we liked the game, how easy the maps were to read (the maps are styled like treasure maps and have a similar look to the Sorcerer map), and whether we would play again. We were told that the maps are not final and very well may change before the final adventures are released. We also have no idea how close to release they are. There was one key station that appears on all the maps that is not yet functioning. I am hoping from the look of it that it will dispense some sort of token, dubloon, or other collectible to prove you completed that mission. Our whole party found it engaging and fun. The only thing I would want to add is a collectible element as I mentioned above. Coins or dubloons would be the perfect little souvenir, and let’s face it... people love free stuff. I believe the talismans are all the same and would imagine that they will not let you play the same adventure twice on the same talisman, although that is pure supposition on my part. We don’t know how long the play test will go on, and I know it is not every day, as we walked by on the weekend and the Enlistment Quarters were closed. 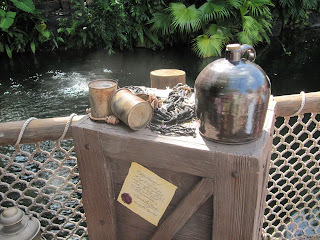 We also saw that many people passed it by as the pirate tried to lure them in to try the game. So if you have a chance, be sure to seize the opportunity to play! This post also appeared at mainstgazette.com and is cross-posted here for your convenience. My kids did this in July. They really enjoyed it. I got bored after a few of the stops and went to get drinks. My kids loved this in August. For a family who goes to Disney multiple times a year, this was very engaging for my kids. We provide you with realistic, practical advice based on the experiences we've had at Disney as well as the experiences of many of our friends... including you! We offer information for everyone, but mainly those traveling with children ten and under. Whether you are a Disney veteran or a family taking your first or only planned trip to the World, here you will find everything from planning tips to help with creating your post-trip scrapbooks and mementos. Click on the links below to find information specific to you and the ages of your kids within our site. Your comments and questions will fuel future posts, so be sure to tell us what you think! All photos, unless noted, are the property of Elizabeth Caran and April Baker. This site is in no way affiliated with or endorsed by the Walt Disney Company. For official Disney information, please visit http://www.disney.com/. We are affiliated with outlandertravel.com, a full-service travel agency.